Phil Gruber is the founding director of the Singapore Avatars of Improv, where he provides world-class impro-tainment, as well as professional training in all facets of improvisational comedy. 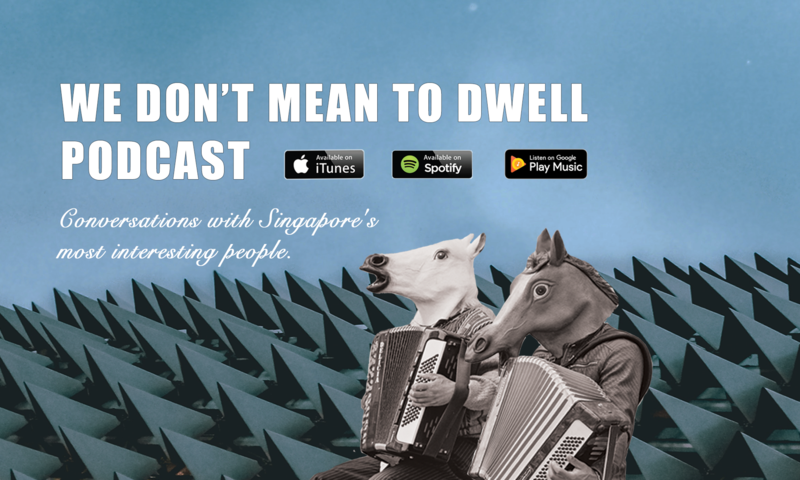 In this episode we take a dive into the cultural side of Singapore. We talk about its blossoming comedy and improv scenes, and explore the creative process of improvisational theatre. What’s the going rate for a Tibetan Lama? A couple of weeks ago we were interviewed by Danny Koordi on the Economical Rice Podcast. We talked to him about the Chinese social credit system and why some people argue it’s the best thing since sliced bread, as well as the brain and how nobody really knows how it works. We had a lot of fun, so we thought we’d do something special and redistribute the interview here. This week your two favorite horses talk about the contrasts of Thailand, and Chiang Mai in particular. We also get into the untapped potential of Southeast Asia, discuss the lure of fake spirituality and take an unexpected dip into the wonderful world of conspiracy theories. Don’t let the Leprechauns trick you with their gold! If you think you’ve never tasted rat but you’ve had Thai sausage, think again! Jerry Hinds is the president of the Association of Comic Artist Singapore and the creator of SupaCross, Singapore’s own “World of SupaHeroes Universe”. We talk about the rise of comic books in Singapore, as well as the creative process and the business aspects of creating them. Jerry also introduces us to Singapore’s very own “SupaHeroes” : Singapore Sling & D. Temasek! Stan Lee is dead, long live Stan Lee! Steve Stine is a former Wall Street Journal correspondent and 30-year Asia Veteran. He shares the story of how, because of an unexpected twist of fate, he ended up in Hong Kong flat broke, and had to hustle to build a new life for himself in Asia. We also discuss the rise of Asia vs the west and speculate where the current economic trends will lead us over the next few decades. And of course Steve tells us about the time a 16 ft python decided to permanently move into his bedroom. Oprah’s the future, you heard it here first!